Learn the techniques and strategies employed by those playing the running back position at the highest level. 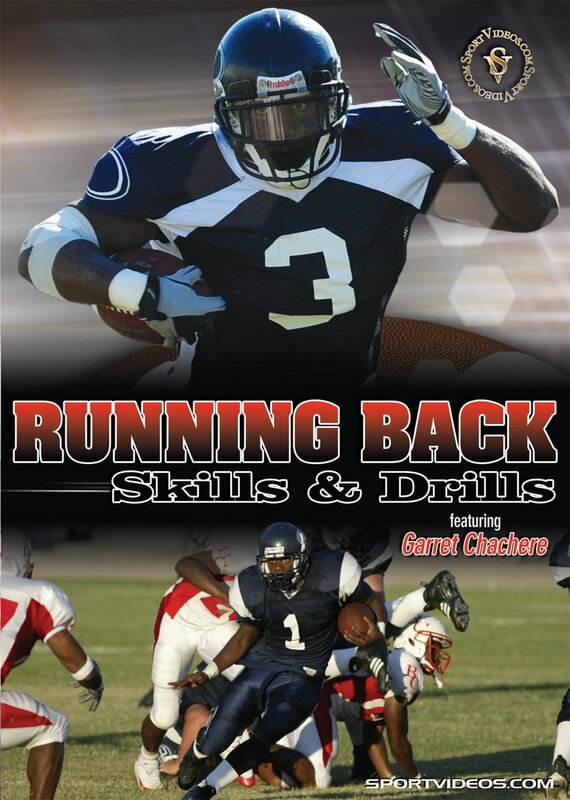 In this comprehensive DVD, Coach Garet Chachere provides numerous tips, techniques and drills to give coaches and players the tools they need to be successful. Among the topics covered are: disadvatage reach, 6 point explosion, shimmy strike, staggered strikes, gap exchange, the push press drill, the mirror drill, hand placement drill, push by drill and counter, the bull rush counter, the swim rip counter, burner blocker drill, 3-on-1 drill, ball shuffle drill, read the hat drill, transition drill, star drill, jump cut drill, shuffle and stretch cuts, cut drill, overrun drill, 50 pumps drill, strip drill, towel drill and stiff arm spin drill. Each area of the game is taught in a very detailed and easy-to-understand manner. This DVD is a great resource for coaches and players at any level of competition. About the Coach: Garret Chachere has been coaching collegiate football for over 20 years. He has coached at numerous top colleges including Tulane, Cheyney State, Bloomsburg, Bucknell, Nicholls State, Northeast Louisiana, Memphis and Arizona. He has coached a variety of positions on offense, defense and special teams. Garret Chachere was recently hired as Assistant Football Coach at Southern Miss, where he will coach the tight ends and special teams.